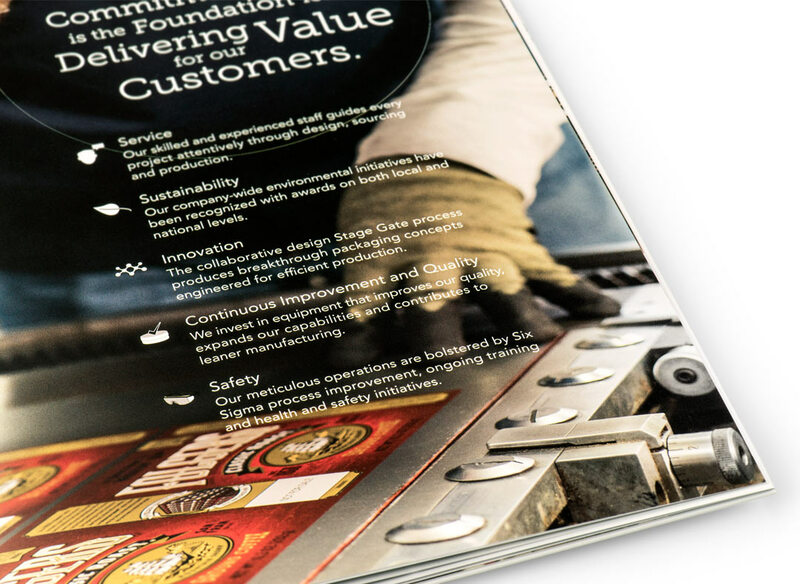 Digital Hive Mind (DHM) is pleased to announce the completion of a new corporate brochure for J.L. Clark. DHM collaborated with J.L. 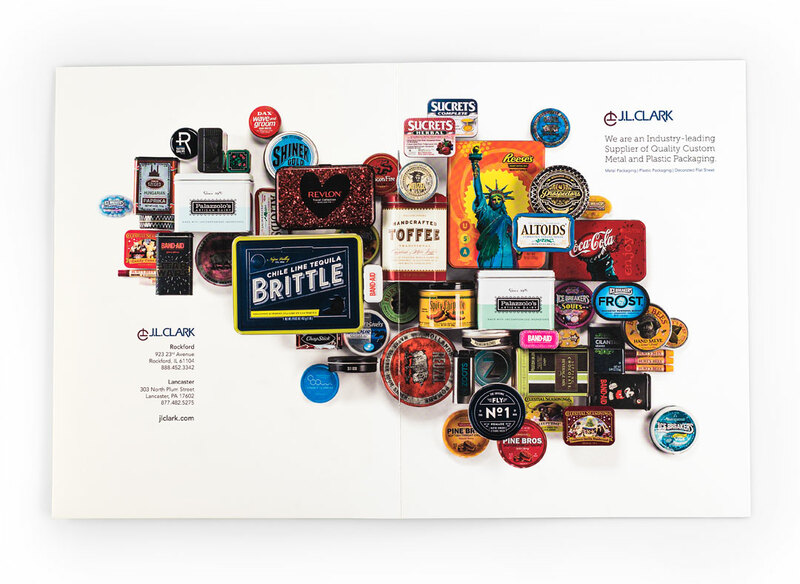 Clark, a Rockford-based company that supplies packaging to some of the most well-known national brands, to design a new brochure showcasing the expansive selection of metal and plastic packaging options available to customers. The new brochure also highlights J.L. 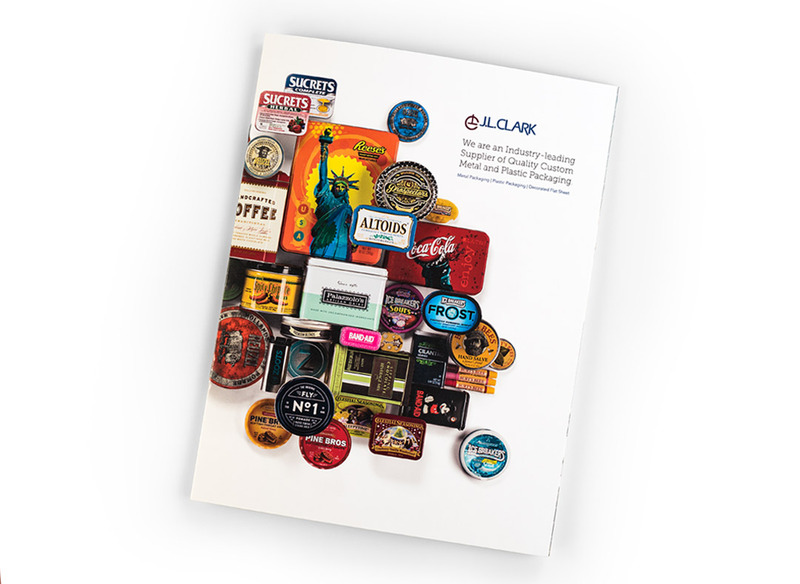 Clark’s industry-leading metal lithography and manufacturing capabilities, recent investments in the expanded capacity of their plastics division, and the company’s state-of-the-art research and development department. 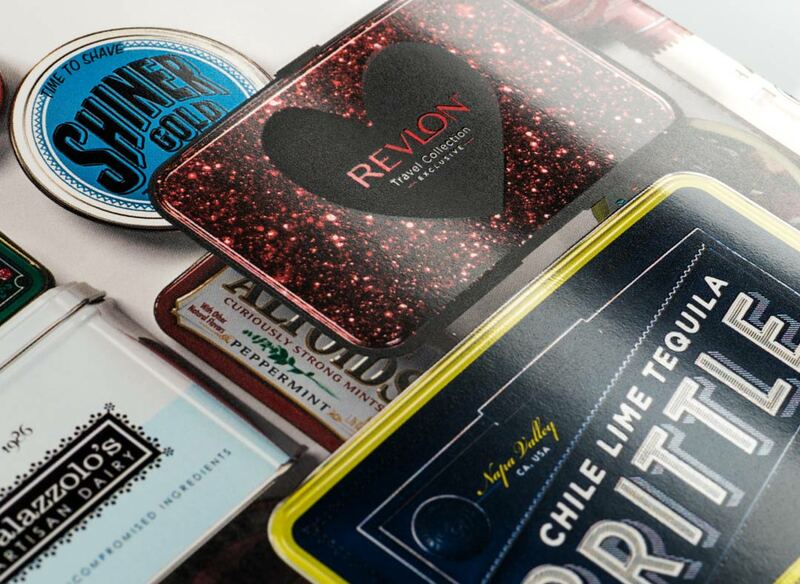 In addition to design, DHM also provided all photography and copywriting services to flesh out the finished product. 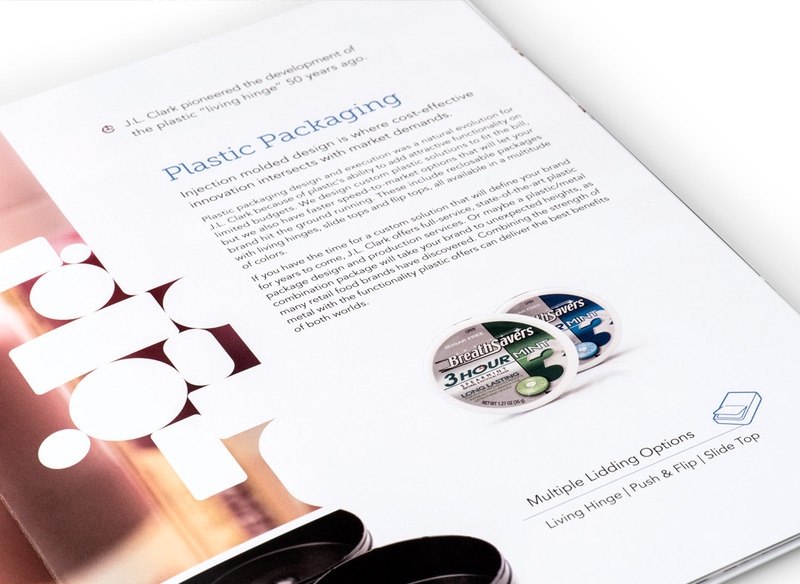 The aesthetic of the new brochure aligns with J.L. 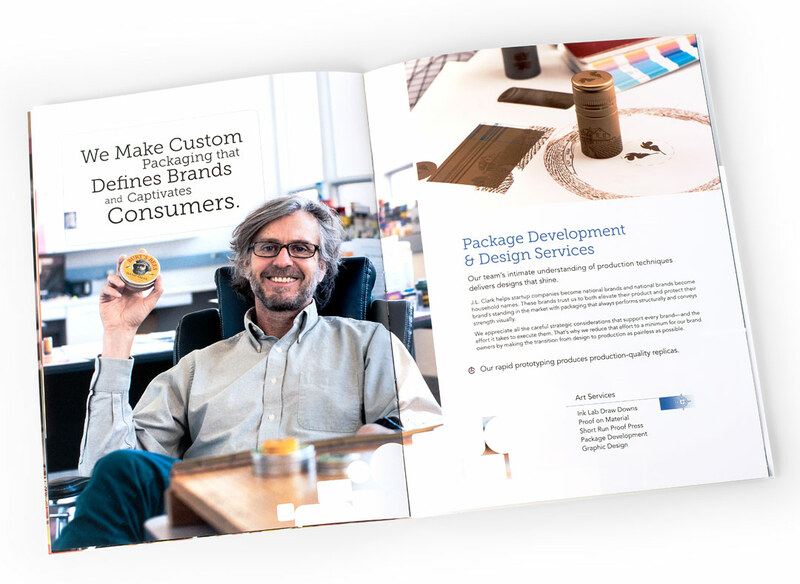 Clark’s rebranding efforts begun in early 2017, which included an award-winning new website, corporate identity package and brand guidelines, all developed by DHM.